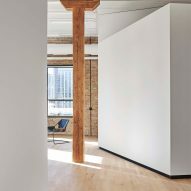 Chicago firm Vladimir Radutny Architects has outfitted a lawyers' office in the city, with minimal volumes arranged around existing pillars for high contrast. 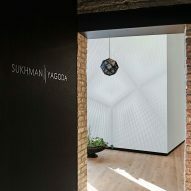 The project involved the renovation of a 4,000-square-foot (372-square-metre) manufacturing loft in Chicago, to create workspaces for Sukhman Yagoda Law. 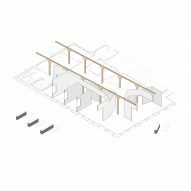 As a nod to the site's industrial past, local firm Vladimir Radutny Architects left exposed features like the structural wood posts and ceiling beams, along with original brickwork. 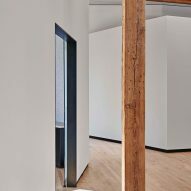 "When visiting this understated manufacturing loft for the first time, we were captivated by the intrinsic elements of raw masonry walls, the distressed timber structure and the abundance of natural light," said Vladimir Radutny. 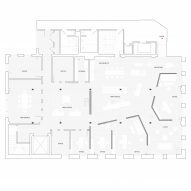 "The plan yielded a choreographed configuration of heavy posts in various proximities to new partitions and openings," said the firm. 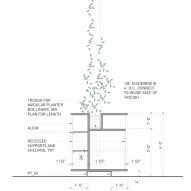 "Blank white walls weave in and out of the building's columnar forest, like a sculptural installation, reflecting light and absorbing shadows." 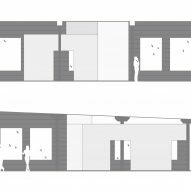 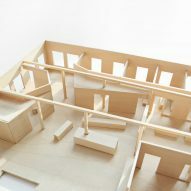 Next to the entry is an irregular volume with obtuse corners and no doors, housing an office, while another similar room is located nearby. 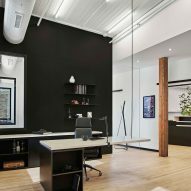 Beyond the narrow space in between them is a sitting area lined in windows, decorated sparingly with a grey loveseat, black chair and glass coffee table. 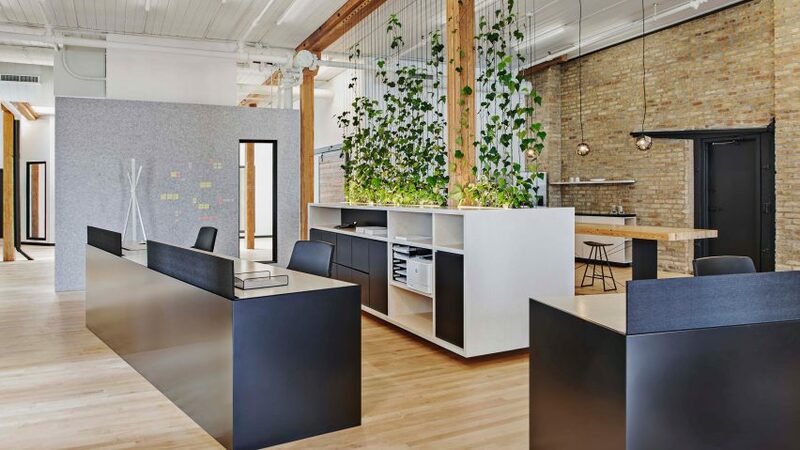 Vladimir Radutny Architects has completed several other projects in Chicago, including adjacent apartments with walnut interiors, an office for a local development company with a glass-walled garage, and a minimalist residence inside a complex built by Mies van der Rohe.